Remarks:FM-A13 is a selective inhibitor of Bruton’s tyrosine kinase (BTK) �C IC₅₀’s = 2.5 μM (recombinant BTK) and 17.2 μM (human BTK). 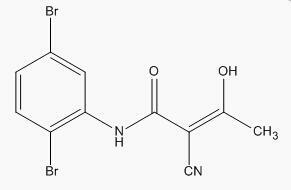 It has also been shown to inhibit Polo-like kinase (PLK) (IC₅₀ = 61 μM for human PLK3). It displays no activity (concentrations up to 278 μM) at JAK1, JAK3, HCK, EGFRK and IRK2 or CDK1-3, CHK1, IKK, MAPK1, SAPK2a and ten tyrosine kinases.